The idea of the Polish Music Days Project was conceived by the Artistic Association PianoClassic, who are also the main organizer of this Project. 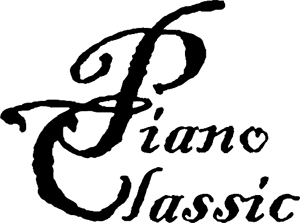 The PianoClassic is as an organization that has been functioning efficiently for six years with the key idea of combining expertise, experience and passion in creating artistic events at the highest, professional level. The principal activity of the Association is to popularize classical music, with particular emphasis on piano music, in Poland and abroad. Marian Sobula, a Polish pianist, is the president of the Association and the Artistic Director of the Project. A laureate of many international piano competitions, Marian has won several scholarships funded by the Ministry of Culture and National Heritage, the Ministry of Science and Higher Education, Polish Culture Foundation. Marian Sobula is considered to be ‘one of the most promising artists of the young generation’. Professor Andrzej Pikul, an outstanding Polish piano teacher (head of the Piano Department at the Academy of Music in Cracow), pianist and jury member of international piano contests, chairs the programming board of the Association. PianoClassic does not have a fixed source of financing, nor does it receive any regular subsidies. The Association’s operation has been possible thanks to the funds it obtained for carrying out particular projects. During the six year long history of The Royal Cracow International Piano Festival, its flagship project, PianoClassic has cooperated with the following institutions and companies: authorities of the Małopolska Province (Marshal’s Office and Małopolska Provincial Office), the municipal authorities of the City of Cracow, Institute of Music and Dance, Ministry of Culture and National Heritage, Tauron Polska Energia S.A., PolimexMostostal S.A., Fundacja Orange, PERN, MARR, EC Kraków, Energokrak, YAMAHA, The Italian Institute of Culture, Montenegrin Embassy in Poland, The French Institute, The Czech Centre, The Romanian Institute of Culture, Academy of Music in Cracow.